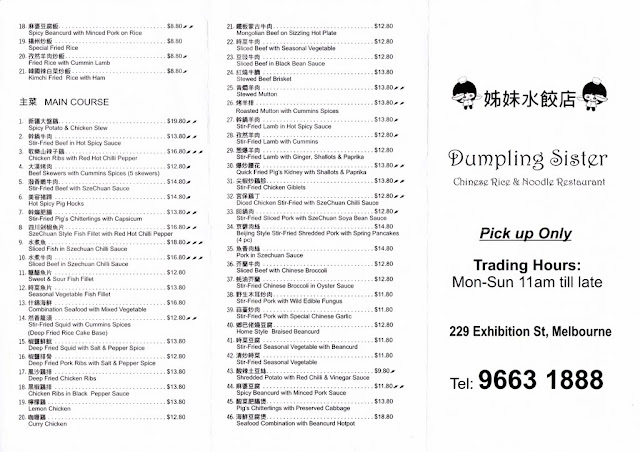 Behind a narrow front, Dumpling Sisters opens into a bigger space off Exhibition Street near the junction with Lonsdale Street. The decor is basic but clean, we got one on the last tables near the entrance. The menu was far more extensive than the dumplings on the page snapped below, with rice and noodle dishes also available. 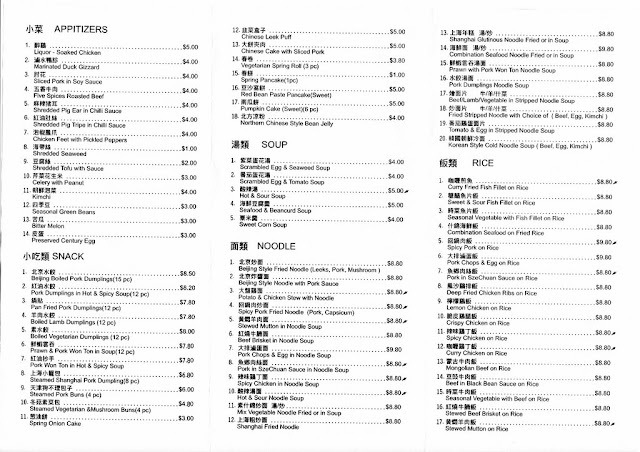 The full take away menu is below, but this seems to be slightly different to the menu we ordered from. Brendan ordered the scrambled egg and tomato soup which he enjoyed. We shared the plate of mixed fried dumplings, which were very difficult to tell apart. I got to try the pork, veggie and lamb parcels, which were all good, although the skins/cases were a little thick. I also had the prawn and pork wontons in a hot and spicy soup. The broth and chilli oil was certainly spicy and the wontons were good, but the prawn flavour was hard to detect. 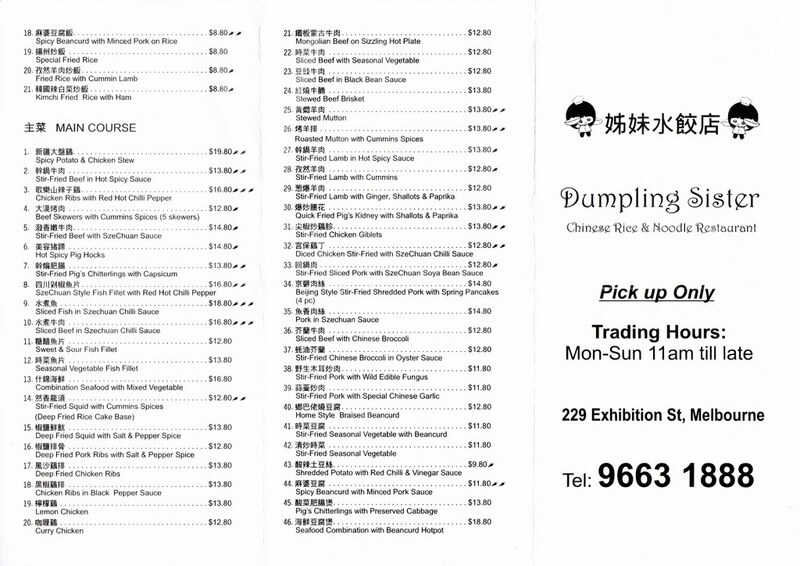 The service was friendly and efficient, Brendan said he would be happy to go back for more dumplings, and I would be too.